I wouldn't normally bother to pick up a Canon camera (not because I'm a Nikon fanatic, but because I can't collect everything), but I really wanted a Canon RC-701 and/or RC-760 to keep my original Kodak DCS and Nikon QV-1000C company. 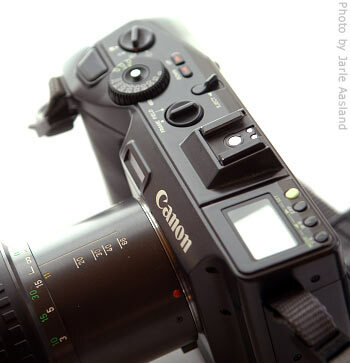 First filmless SLR models from the three big names in professional photography. 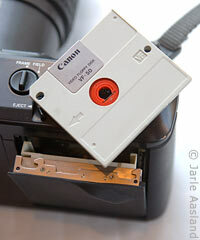 The camera uses a 2-inch video floppy disk capable of recording 50 or 25 images. The number of images that can be recorded on a floppy disk depends on whether the image is recorded in "field" or "frame" mode. The field mode uses one track per image on the floppy disk and allows 50 images to be recorded on one disk. The field mode provides poorer resolution because there are less pixels per picture. The frame mode uses two tracks per image and allows 25 images to be stored on one floppy disk. The frame mode provides higher quality because more pixels per image are recorded. The camera is in great shape. 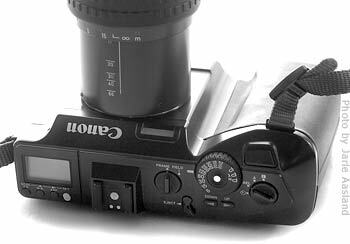 Similar to the QV-1000C (and most high-end camera equipment made in the 1980's), both the camera body and lens is very well built. Zooming and focusing is very, very smooth. I don't know how many RC units were made, but apparently it was a relatively popular and common camera compared to the much more expensive and rare Nikon QV-1000C. «Resolution isn't the key. They can live with the still-video quality on a deadline event. One factor is cost, particularly given that papers would need to buy multiple units and that - as with anything digital - they would need backup. From my own experience, I can confirm that the archive part was a real issue (and I guess it still is). One particular newspaper I know (I won't mention any names) bought a bunch of the first Nikon D1's and kept them locked into a closet since there was no digital archive in place. Took about a year (if I remember correctly) before the cameras were used. 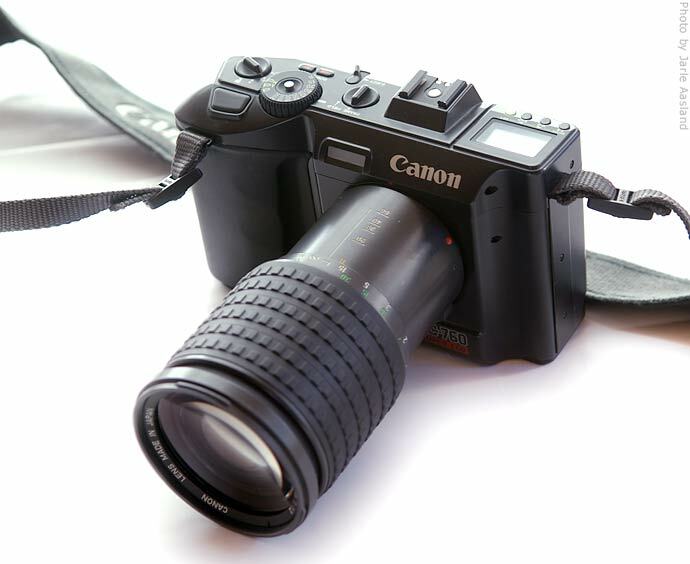 Canon RC-760 with a 11-66mm f/1.2 and Nikon's first still video camera, the extremely rare QV-1000C. The Nikon lens is a special 10-40 mm f/1.4 QV Nikkor. 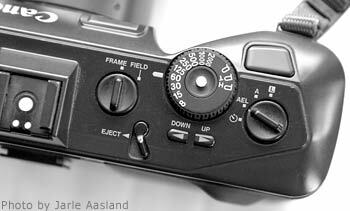 Unlike its competition, Nikon's first filmless camera would only capture grayscale (black and white) images. And -- it was also much more expensive than the Canon models. The eBay seller couldn't make the camera work (and clearly told so in the auction description), but I have a feeling it's only a battery issue. Unfortunately, I haven't been able to test this yet. The charger accepts 110V input only, so I'll need yet another gadget to power up the charger (or find a 220V charger). I measured the two batteries (the seller had charged them when trying to test the camera) -- the best one is now 4.27V -- it should be 8.4V. «Regarding history, I purchased this from a software company that downsized and moved into a smaller building. The person in charge of selling off a bunch of items, indicated that this particular equipment was no longer needed by his company, because it was outdated, and they have since upgraded into newer higher resolution cameras. I've contacted the battery shop that recelled one of my Nikon QV batteries a while ago. 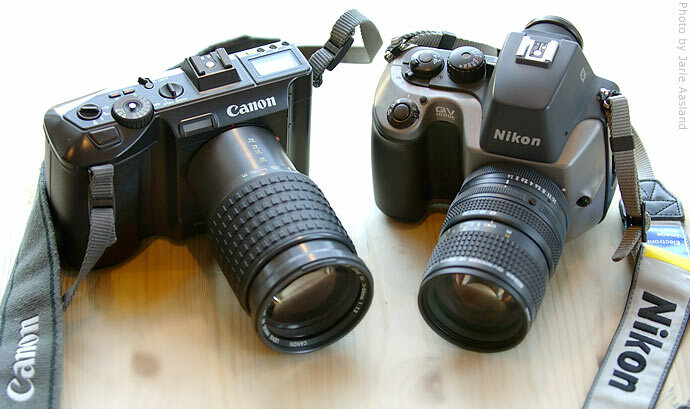 They can recell the Canon BP-7N as well. Hopefully, a working battery is everything I need to get the camera operational (not that I plan to use it -- but as always it would be nice to take a few test shots). 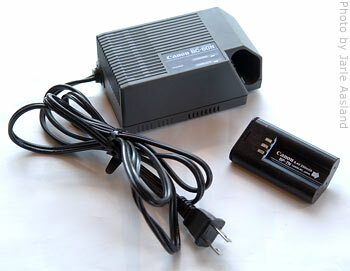 The same shop can also modify the original 120V charger to accept 220V input. 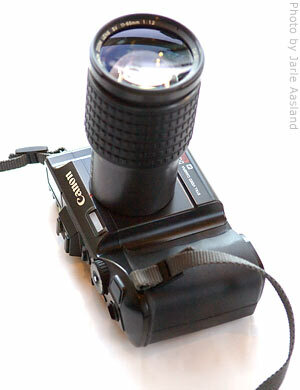 Good news, meaning I'll soon have a fully functional camera (I hope). With some luck, I'll be able to update this page with some sample photos later.